North Korea, which regularly threatens to destroy South Korea and its main ally, the United States, conducted more than 20 missile tests last year in defiance of U.N. resolutions and sanctions. U.S. President Donald Trump’s defense secretary warned North Korea on Friday of an “effective and overwhelming” response if Pyongyang chose to use nuclear weapons, as he reassured Seoul of steadfast U.S. support at the end of a two-day visit. “Any attack on the United States, or our allies, will be defeated, and any use of nuclear weapons would be met with a response that would be effective and overwhelming,” Defense Secretary Jim Mattis said at South Korea’s defense ministry. Mattis’ remarks come amid concern that North Korea could be readying to test a new ballistic missile, in what could be an early challenge for Trump’s administration. The North appears to have also restarted operation of a reactor at its main Yongbyon nuclear facility that produces plutonium that can be used for its nuclear weapons program, according to U.S. think tank 38 North. 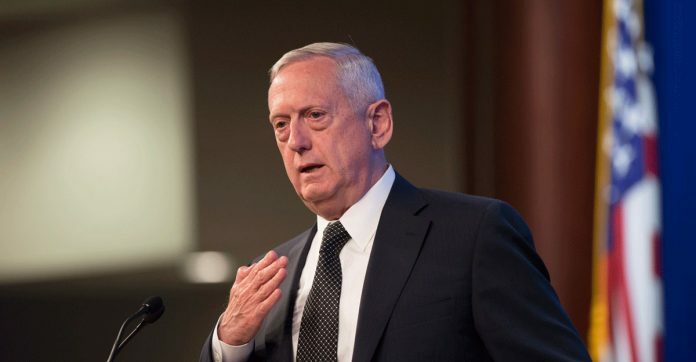 “North Korea continues to launch missiles, develop its nuclear weapons program and engage in threatening rhetoric and behavior,” Mattis said. North Korea’s actions have prompted the United States and South Korea to respond by bolstering defenses, including the expected deployment of a U.S. missile defense system, known as Terminal High Altitude Area Defense (THAAD), in South Korea later this year. South Korean Defence Minister Han Min-koo reaffirmed plans to deploy THAAD and said Mattis’ visit to Seoul – his first trip abroad as defense secretary – sent a clear message of strong U.S. support. “Faced with a current severe security situation, Secretary Mattis’ visit to Korea … also communicates the strongest warning to North Korea,” Han said. Former U.S. officials and other experts have said the United States essentially has two options when it comes to trying to curb North Korea’s fast-expanding nuclear and missile programs – negotiate or take military action.